The UWEC Players | Play On! 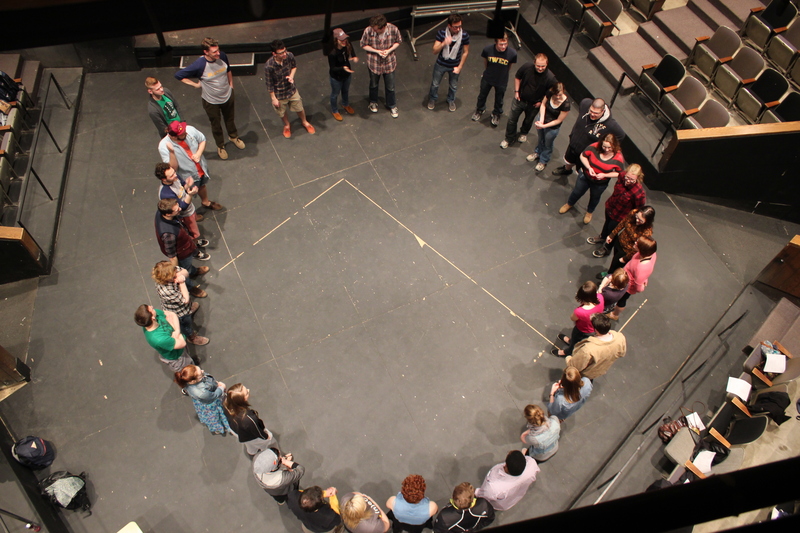 Every year at UWEC, The Players put on a performance event called The 24 Hour Project. A collaboration of a variety of art forms all created from the ground up in a 24 hour period of time! At 7:30pm on 9/18/15, everyone who signs up will gather in Riverside Theatre in Haas Fine Arts on campus. Once a theme and a location are drawn out of the players goblet, everyone has until 7:30pm the following night (9/19/15) to create their work and prepare to showcase it! The artistic discliplines we will be facilitating this year are: Theatre, music, dance, poetry/spoken word and visual art. Also please remember to provide ideas for a theme and location at the bottom of the forum! Make sure to put in all of YOUR information in the slots below! Positions with limited availability will be chosen on a first come-first serve basis, so get your spot now! Want to help out with tech?